List Rules Vote up the movies that break the fourth wall but not the magic. What does it mean to break the fourth wall? Imagine you’re sitting in a theater. There are three walls that surround the stage: on the left, on the right, and in the back. Between the audience and the stage exists this imaginary fourth wall, which separates the real world from the fictional world of the stage. So when a film (or television show, book, play - basically any work of art) breaks the fourth wall, that means the line has been crossed, there is no longer a boundary between what is real and what is fiction. The spectator is now taken out of the film world - they are purposely being made aware that they are watching a movie. What are some of the ways that a filmmaker breaks the fourth wall? The most common device is when a character turns to the camera and directly addresses the spectator. A film can also be meta, which means it is referencing itself. For example, a film within a film about filmmaking (The Player) is another way to break the fourth wall. You may be asking why a filmmaker would opt to purposefully break the fourth wall, and essentially take the spectator out of the film. The device is not used a lot, and there’s always a reason for it. In a film like Ferris Bueller’s Day Off, Ferris will often directly address the viewer so we feel like we’re in on all the fun, like we’re cutting school with this charming and friendly guy. Most of the time, the fourth wall barrier comes down in order to get a laugh. Mel Brooks uses extreme satire in a comedy like Blazing Saddles to send-up the western genre and expose its codes and rules. He does the same with Spaceballs, but in that film, he spoofs science fiction movies. Imagine when you're watching a satire or spoof movie that the director is positioned right outside of the frame, practically winking at you, in fact you can almost imagine how the lights look and where the mics are set up. This type of comedy is typically very tongue-in-cheek. Of course, there is a time and place for breaking the 4th wall, and it can be totally misused. But that’s not what this article is about. Instead, this is a list of the best movies that break the fourth wall. All the films on this list are clever, most are hilariously funny, and of course, all are very self-aware. Upvote the best fourth wall breaking films below and let us know in the comments section why you think this device is (or isn't) such a powerful tool in filmmaking. 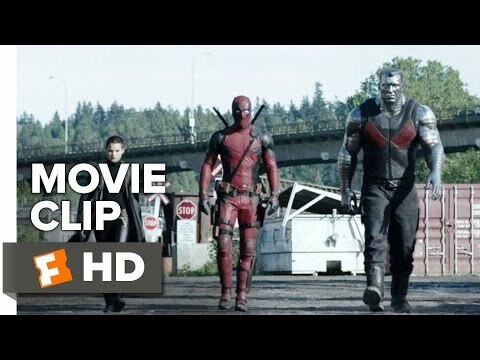 Deadpool is the rare comic book character who is totally aware that he's in a comic book, and his meta sense of humor made the cut in the 2016 movie. The opening credits immediately break the fourth wall by irreverently poking fun at Hollywood cliches and even mocking the cast and crew. Throughout the movie, Wade Wilson (brought to life by Ryan Reynolds) pretty much constantly addresses the audience, making referential jokes about superhero films, Deadpool's budget, and anything else that pops into his head. 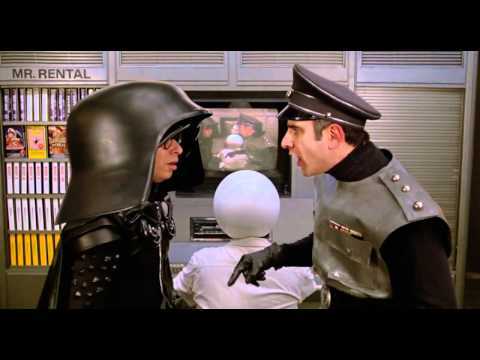 Mel Brooks's cult classic sci-fi satire is entirely built around tearing down the fourth wall. The comedy is filled with meta moments of self-reference. At one point in the film, the bad guys pop in a video of the actual movie Spaceballs to help them figure out their next move. Check out the clip above. "Prepare to fast forward!" Writer/director John Hughes created one of the coolest and likable slacker characters in film history. Not only do we get to watch Ferris Bueller (Matthew Broderick) cut school and enjoy a teenage dream day, but because of the many times when our hero breaks the fourth wall and addresses the audience directly, we feel like we're in on all the fun. Bueller warns us, "Life moves pretty fast. If you don't stop and look around once in a while, you could miss it." Thanks Ferris, that's some good advice. Comedy is the perfect genre in which to break the fourth wall, especially when that comedy is a satire. The Holy Grail is inundated with rich examples of not only breaking, but shattering the fourth wall. There are several instances of direct camera address and the film even references itself, "Look, there's the old man from scene 24!" Perhaps the greatest continuity break in the film is when modern day uniformed cops show up in the middle of a medieval setting.